NOTE: This translation of the Explanatory Memorandum of the Bonaire Nature Conservation Island Ordinance has been prepared to assist interested parties to understand the content of this legislation. ONLY the original Dutch legislation should be used to resolve legal matters. Island Ordinance for the protection and conservation of nature and the species of flora and fauna contained therein, amending the Marine Environment Ordinance (A.B. 1991, no. 8), repealing the Environment and Monument Protection Ordinance1967 (A.B. 1967, no. 7) and Repealing the Harmful Plants Ordinance (A.B. 1991, no. 25) (Bonaire Nature Conservation Island Ordinance). 2008, EXPLANATORY MEMORANDUM, No. 3. The National Nature Conservation Ordinance (PB 1998, no. 49) provides integrated legislation in the area of nature conservation and protection of flora and fauna at the national level. The national ordinance also implements a number of treaties that the Netherlands Antilles wishes to be, or already is, party to. These treaties are mentioned in Article 1, paragraph 1 of the National Ordinance and Article 1, paragraph 1 of the Bonaire Nature Conservation Island Ordinance. The National Ordinance offers a general framework for nature management and conservation. Further development of nature policy, as well as the concrete legal design and the practical implementation of such, are primarily an insular matter. In the aforementioned National Ordinance, the island governments are asked to implement the aforesaid treaties, to establish national parks and to ensure the protection and the management of the species which are mentioned in the appendices of those treaties. The Island Territory of Bonaire has adopted the relevant policy resolutions in the Nature Policy Plan 1999-2004. The Island Ordinance serves to adopt the required legislation for the Island Territory of Bonaire. The Island Ordinance has, however, a larger scope than solely implementing the treaties as required by the National Ordinance. The Island Ordinance provides the possibility, in general, to designate protected areas and does not limit itself only to the areas that require special protection pursuant to the Ramsar Convention, the SPAW-Protocol or the Sea Turtle Convention. Furthermore, the prohibitions set forth in the Island Ordinance not only are applicable to species protected by the Bonn-Convention, the SPAW-Protocol or the Sea Turtle Convention, but also to species designated by Island Resolution Containing General Measures. Consequently, the ordinance, taken as a whole, provides an integrated legal framework for the protection of areas and of flora and fauna on the Island Territory of Bonaire. Chapter 5 of the National Ordinance contains a regulation for management and enforcement that also is applicable to the Island Territories . The Executive Council must to this end appoint the officials or designated persons who will be charged with supervision and enforcement within the framework of the established regulations pursuant to this Island Ordinance. Chapter 6 of the National Ordinance regulates the competence for applying administrative coercion or for imposing of a fine. This competence belongs to both the Minister of Public Health and Social Development as well as to the Executive Council, concerning the obstruction of island regulations regarding implementation of the National Ordinance. Furthermore, Chapter 6 of the National Ordinance contains a measure for penalty for non- compliance with prohibitions outlined in island regulations. This means that any illegal act prohibited by the underlying Island Ordinance can be penalized by either imprisonment up to a maximum period of 6 years, or by a fine up to NAF 1.000.000 or both. This way, much higher sanctions can be imposed than are possible by Island Ordinance. In regard to three exceptions, reference is made to the explanatory note to article 26. Furthermore, the island ordinance contains a transition provision in the event that the area which , until now ,forms the Marine Park pursuant to the Marine Environment Ordinance (A.B. 1991, no 8) is later established as a protected area pursuant to this ordinance. In such event the Marine Environment Ordinance will be repealed. Article 24 contains a provision to amend the Marine Environment Ordinance, thus avoiding the chance that, when the underlying ordinance becomes effective, there will be two Commissions which, to a large extent, would have the same duties. The Environment and Monument Protection Ordinance 1967 (A.B. 1967, no. 7) as well as the Harmful Plants Ordinance (A.B. 1991, no. 25) will equally be repealed. The appeals procedure is regulated in the National Ordinance Administrative Procedures (P.B. 2001, no. 79). In regard to two exceptions, reference is made to the explanatory note to Article 21. The definition of “party concerned” is limited to the one directly affected in his interest by a decision or future decision. In view of endemic (sub)species, the definition “native flora and fauna” limits itself to the territory of- and the waters surrounding Bonaire. 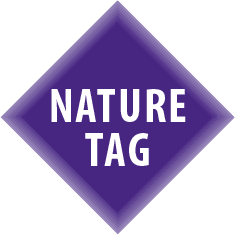 The definitions of the various conventions are identical to those set forth in the National Nature Conservation Ordinance. The definitions of “Executive Council”, “Island Council” and “native flora and fauna” are equally derived from the previously mentioned National Ordinance. The definition of “use of a protected area” indicates that it also includes just presence in or on the park and usage of the facilities of the park such as buoys. Paragraph 2 contains indications where, if so desired, one can find the texts of the applicable conventions and protocols and particularly the appendices. This article provides clarity on the boundaries of the areas to which the Ordinance applies. This applies especially in the case of protection of marine organisms and establishment of marine parks. As such, it is possible to extend the Bonaire National Marine Park up to the territorial boundary of 12 nautical miles from the coast. 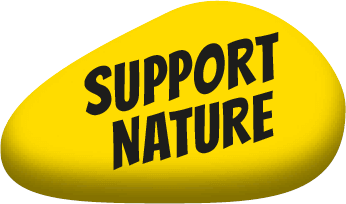 This article establishes the Nature Conservation Commission Bonaire. This Commission advises the Executive Council either on request or on its own initiative, regarding the implementation of the Island Ordinance and nature conservation in general. Several articles of the Island Ordinance require the Executive Council to hear the Commission. One of the Commission members will also be appointed to take a seat in the National Nature Conservation Commission. 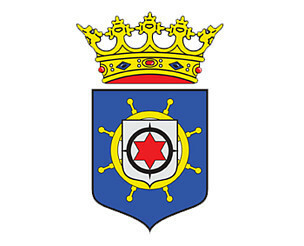 The Nature Conservation Commission Bonaire takes over the duties of the Marine Environment Commission. This article provides specific rules for establishing protected areas by the Island Council. Article 10, paragraph 1, of the National Ordinance mandates this. Articles 11, 12 and 13 of the National Ordinance require the Island Council to establish management measures regarding the conservation of species, which enjoy protection under the Sea Turtle Convention, the Bonn Convention and the SPAW Protocol. These Conventions also require protection of the habitats of these species. The point of departure for the regulations must be conservation of the areas as well as the effectiveness of the management measures. The definition for Protected Area used here is in accordance with the classification of the World Conservation Union (IUCN). In the Environmental Policy Plan Bonaire 1999-2004 differentiation is made between strict nature reserves, national parks, nature monuments, island nature areas and protected landscapes. Paragraph 2 stipulates that within a protected area, zones can be designated. Zoning makes it possible to create areas for different activities that are practiced in a protected area in such a manner that the least possible damage is inflicted on the ecological values of a park. Buffer zones, which can be established pursuant to paragraph 3, may be necessary to avoid activities that take place outside of the boundaries of the protected area that have detrimental consequences for the protected area. The Executive Council is obliged, pursuant to paragraph 4, to hear the Island Commission regarding the establishment of a protected area or a buffer zone. These articles establish procedures to designate a protected area and, if necessary, to specify buffer zones. Considering the importance of such actions for the Island Territory and its inhabitants, and considering the possible restrictions regarding usage that can result from the establishment of a protected area and/or buffer zone, a procedure is provided which allows any one to first voice his/her opinion regarding a proposal to establish a protected area and/or buffer zone. This opportunity takes place through public hearing. Article 6, paragraph 3, also allows any one to submit an objection to the Island Council regarding a proposal for the establishment of a protected area or buffer zone. These articles, however, do not apply in the case if the area that forms the Marine Park by virtue of the Marine Environment Ordinance (A.B. 1991 no. 8) is designated as a protected area. This article forms the legal framework for the management of the protected area. In view of the administrative responsibilities, the management of the protected area in principle lies with the Executive Council. The Executive Council can, however, delegate this authority to a third party. Paragraph 2 requires the creation of a Management Plan. A Management Plan provides a more elaborate description of the manner in which the protected area will be managed. The plan will also include activities such as research, enforcement, education and communication. Where applicable, the Management Plan will be determined in consultation with the owners and others that are entitled to assert rights over the protected area or parts thereof. Pursuant to paragraph 3, management measures for a protected area must be decreed. These management measures must, at a minimum, include provisions regarding the protection of the habitats of species that are protected by the Sea Turtle Convention, the Bonn Convention and the SPAW Protocol. This requirement stems from Articles 11, 12 and 13 of the National Ordinance. Furthermore, these management measures must contain specific rules concerning access to a protected area, other use of the protected area, and activities within the protected area. The management measures may, however, also include regulations for safety and enforcement. Violation of management measures pursuant to Article 8, paragraph 3, is according to Article 10, prohibited without a permit. Paragraph 4 offers the possibility to establish management measures regarding buffer zones designated pursuant to Article 4, paragraph 3 in case it is necessary to prevent damage to the protected area or marring of the landscape of the protected area. Violation of the management measures regarding buffer zones is equally illegal without a permit pursuant to Article 10. Article 9 offers the possibility to impose a fee on users of a protected area or companies and persons who are involved in its use. The revenues collected from the user fees are made available to the Manager of the protected area and are to be used to cover the costs of the management of the protected area. Costs of management are understood to include costs for research, maintenance, education and communication. It should be noted that paragraph 2 is written in such a manner that it is possible for a Manager with several protected areas under his/her supervision, to use the collected revenue from one protected area towards the management of another protected area. The Executive Council can decide to let the Manager collect the user fees or it can have a third party collect the fees on behalf of the Manager. In regard to the management of the protected area and in regard to the expenditure of the collected revenue, the Manager is required, in accordance with paragraph 4, to render an accounting annually. Article 10, paragraph 1, contains general prohibitions regarding the protected area. Paragraph 1, Section a, forbids any activities to be carried out, ordered, or tolerated without a permit, that can be detrimental to the nature or ecological values or that can mar the landscape of a protected area. Paragraph 2 dictates which activities are, at a minimum, considered to be harmful. Such activities include but are not limited to those that can damage the essential characteristics of the protected area and activities that violate the management measures or the Management Plan for the protected area. Note should be taken that Paragraph 1, Section a, is written in such a manner that activities taking place outside of the protected area may also require a permit. Paragraph 1, Section b, prohibits any activities to be carried out, ordered, or tolerated without a permit that violate the regulations as set out in paragraph 4. In accordance with paragraph 4, regulations can be established for activities that are not hazardous to the environment but which are desirable for effective enforcement of the Island Ordinance, or for achieving the objectives of the Island Ordinance. In case a protected area contains water, it may be necessary for conservation of ecological values to prohibit certain fishing methods. For effective enforcement, however, it could be desirable not only to prohibit fishing with certain gear but also to prohibit possession of such gear inside the protected area. Article 10, Paragraph 4 can provide a basis for such regulations. Paragraph 3, stipulates that no permit is needed for activities that are listed in the Management Plan in accordance with Article 8, paragraph 2. Paragraph 5 gives the Island Council authority to designate activities as indicated by paragraph 1 and to decree that the Executive Council may not allow such activities by issuing a permit. Hence this forms the basis to prohibit activities for which no permit can be granted. In accordance with paragraph 1, several species of flora and fauna are defined as protected species. Such protected species are those listed in specific appendices of the CITES Convention, the Bonn Convention, the SPAW-Protocol, and the Sea Turtle Convention. By designating these species as protected species, the prohibitions stipulated in Articles 12 and 13 become applicable, and thus implement the obligations set forth in the Bonn Convention and the Sea Turtle Convention concerning the species mentioned in annex 1 of the Bonn Convention and annex 1 of the Sea Turtle Convention. Both Conventions stipulate that measures be taken to protect the aforementioned species. Paragraph 2 provides the possibility, in addition to paragraph 1, to designate other plant and animal species belonging to the native flora and fauna, as protected species. Paragraph 3 provides the basis to establish management measures for all plant and animal species present on the island that have been designated as protected species pursuant to paragraphs 1 and 2. Paragraph 4 requires the Executive Council to request advice from the Island Commission prior to decreeing an Island Resolution as intended in paragraph 2 or 3. Articles 12 and 13 set forth prohibitions regarding specimens belonging to animal or plant species designated as protected pursuant to Article 11. These prohibitions are derived from the relevant conventions and protocols and, together with the trade prohibitions contained in the National Ordinance, provide, a sound prohibitory framework. The use of the word “specimens” implies that the prohibition is applicable to living and dead animals and plants as well as to all parts of animals and plants. In Article 13, paragraph 4 a separate provision is set forth regarding the eggs of animals belonging to a protected species. An important threat to native species, particularly in the case of islands, is the introduction of exotic species. Article 14, prohibits the introduction of such species or genetically modified species into nature. Paragraph 1 makes it possible for the Executive Council to provide exemptions from Article the provisions of Articles 12 through 14. The Island Commission advises on decisions about granting exemptions. Paragraph 2 sets forth the criteria for an exemption from the provisions of Articles 12 and 13. An exemption from these prohibitions is only possible if there is no danger to the survival of the protected species. Furthermore, a strong reason is required in order to allow an exemption. Subsections a through e, provide a limiting list of such reasons for an exemption. 14. Article 14 aims to avoid contamination of fauna. Therefore, exemptions are only permitted if the introduction of animals pursuant to Article 14 does not pose any threat to the native flora and fauna. Article16 requires that an Environmental Impact Assessment in connection with certain activities that, due their potential for seriously damaging consequences for nature or landscape of the Island Territory of Bonaire, including areas outside of the protected areas or buffer zones, are not allowed without a permit from the Executive Council. Paragraph 1 obligates the Executive Council by Island Resolution Containing General Measures to determine these activities. Paragraph 2, by means of Island Resolution Containing General Measures, offers the basis for the specific regulations regarding the content of the Environmental Impact Assessment and the procedures to be followed when preparing one. Article 16, Paragraph 3 prescribes that an Island Resolution as referred to in this Article, requires advice from the Island Commission. The Island Ordinance contains a general framework for the management and conservation of nature on Bonaire. It is not only desirable to establish rules for the protection of animal and plant species, but it is also desirable to take measures regarding the hunting and capture of unprotected animals as well as measures for the chopping down, destroying, trimming and digging up of unprotected plants. Such measures could be necessary in view of nature conservation. Article 17, Paragraphs 1 and 2 authorize this possibility. In accordance with Paragraph 3, specific measures can be established with regard to the control of animals and plants that could be harmful to the native flora and fauna or other ecological values. With this in mind, Article 26 repeals the existing Harmful Plants Ordinance (A. B 1991, no.25). The island resolutions referred to in Article 17 also require that advice be obtained from the Island Commission. The consequences resulting from the establishment of a protected area or buffer zone can be serious. Therefore, it is possible that a concerned party, such as someone having a commercial interest, could suffer damages. Similar to the circumstances in which restitution may be granted within the framework of spatial planning if there is damage that results from such planning, , the present Article provides a possibility for compensation to a concerned party. In practice it has been shown that there is a need to connect this possibility of compensation to a period of limitation. Not all damage will be compensated; it must be the type of damage that, in fairness, should not or should not completely be borne by the concerned party. There is also a provision for possible compensation for damages that could result from conservation management measures if such damage carries costs or expenses that, in fairness, should not or should not completely be borne by the owner or user. These Articles contain regulations regarding the granting of permits as outlined in Article 10, Paragraph 1, the withdrawal of permits as outlined in Article 16, Paragraph 1 and the granting of exemptions as outlined in Article 15 Paragraph 1. According to these Articles, an applicant is required to provide all the information and documents necessary to assess the application. Based on Article 18 Paragraph 2, the Executive Council can decide not to consider an application if the submitted information and the supporting documentation are insufficient to assess the application or are insufficient to prepare a decision on the application. However, before the Executive Council can so decide, the applicant must be given the opportunity to revise the application within a reasonable period of time as determined by the Executive Council. If sufficient information and documentation is provided, the application will, in principle, be made available for public review and stakeholders will have the opportunity to submit objections to it prior to the Executive Council’s decision. According to Article 19, Paragraph 6, exemption to this procedure is possible. By Island Resolution Containing General Measures, application categories can be designated to which Paragraphs 3 through 5 are not applicable. In order to guarantee that third parties are able to take note of decisions regarding applications that are not available for public review, Article 19, Paragraph 8 stipulates that the decision about an application be published in one or more local newspapers as well as in the normal publications used for official announcements in Dutch and in Papiamento. Because the National Ordinance Administrative Procedures (A. B 2001, no 79) already provides a regulation regarding the possibility of objection and appeal, the Island Ordinance does not have a general provision. However, in two cases the possibility and manner of appeal is nevertheless regulated. One case involves designating a protected area or a buffer zone by the Island Council pursuant to the Island Ordinance including the decisions regarding objections made regarding the proposed designation. The second case involves the inability of the Executive Council and the stakeholders to agree about the level of compensation and reimbursement for expenses as outlined in Article 18. The reason for these cases relate to the particular character of the decisions and the manner in which such decisions have been reached. This Article obligates the holder of a permit or exemption to produce the permit or exemption immediately when requested by an official or person who is responsible for enforcing the regulations as set forth in or through this Island Ordinance. This Article contains a transition provision relating to the prohibition contained in Article 13, Paragraph 3 regarding the possession of Lora’s banded under supervision of the Executive Council. Bonaire already has a protected area established by Island Ordinance, specifically the Marine Park which is protected pursuant to the Marine Environment Ordinance (A.B 1991. No 8) and which, since 2001, includes Klein Bonaire. In order to avoid contradictory or overlapping measures between this Ordinance and the Marine Environment Ordinance, the Executive Council prefers to repeal the Marine Environment Ordinance. Everything that is presently regulated by the Marine Environment Ordinance (including the Island Regulations Containing General Measures based upon it) will be regulated by Island Resolution Containing General Measures for the implementation of the Bonaire Island Nature Conservation Ordinance. The Marine Environment Ordinance will, however, only be repealed when that the area designated as the Marine Park by the Marine Environment Ordinance is again designated as a protected area by the Island Ordinance implementing the Bonaire Island Nature Conservation Ordinance. In defining the area that currently forms the Marine Park as a protected area pursuant to the Island Ordinance, the regulations regarding the procedures will not be applied. The Island Ordinance, as well as the Marine Environment Ordinance, provides for a Commission intended to advise the Executive Council. To avoid the existence of two parallel Commissions that mainly have the same duties, Article 25 provides an amendment to the Marine Environment Ordinance. As a result of this amendment the Commission Nature Conservation Bonaire, as intended in this ordinance, will serve as the Commission that advises the Executive Council regarding the implementation of the Marine Environment Ordinance. The Environment and Monument Protection Ordinance1967 is outdated and therefore needs to be repealed. The Harmful Plants Ordinance (A.B. 1991, no.25) has become superfluous now that Article 17 of present Ordinance states that further rules can be established regarding the control of flora and fauna that can inflict damage on the nature and ecological values of the island territory. Therefore, the Harmful Plants Ordinance will also be repealed. The aim of this article is to further clarify the prohibitions stipulated by this Island Ordinance in view of penal enforcement. With regard to penal enforcement, provisions included in the Island Nature Ordinance implementing the requirements for the islands as required by the National Ordinance, it is the National Ordinance that is the defining legislation. Accordingly, the activities outlined in Paragraph 1 are punishable pursuant to Article 33 of the National Ordinance. The same applies to actions referred to in Paragraph 2. The actions in Paragraphs 1 and 2 are considered felonies if they are committed deliberately. Paragraph 3 imposes penalties for actions in violation of Article 10, Paragraph 4, Article 17 and Article22. These Articles do not contain regulations that implement the National Ordinance, and thus, the actions referenced in this Article must have different penalties such as misdemeanors.